A few weeks ago world’s top trainer, Alwyn Cosgrove, was asked to start a Fat loss program for men’s health, which will help men to lose belly fat and gain some physical strength. And he accepted the idea and decided to start this program. But one thing in this program made me curious. It was that one of the workouts only had two exercises in it. He was asked about it and was asked to create a super effective routine which will help lose belly fat and should be affective. Cosgrove gave us workout which only had dumbbell swing and a squat thrust. He believed that these two are very effective exercises and will help loosing fat promptly. He made a very good point, and people start understanding the philosophy behind his given routine. Once you start his program you’ll know why he only chose those two exercises. But first you have to understand the explanation of the actual routine itself. 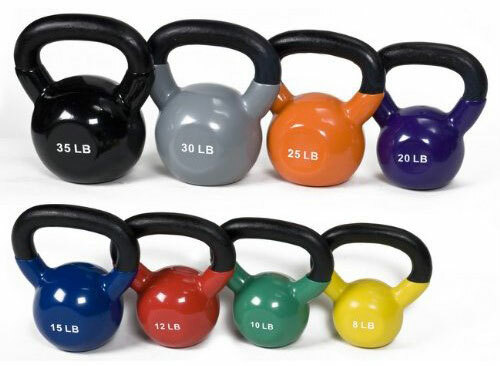 You will do 15 repetitions of the kettle bell swing (a dumbbell can also be used for this exercise), after which immediately you have to do 15 reps of the squat thrust. You will have to do 14 reps of the swing and than 14 reps of the squat thrust without taking rest. Continue until you complete only one rep of each of the exercise. This is called a countdown workout. Sure, these are just two exercises but, if you do the math i.e. if you complete the whole routine, from 15 down to 1, it will make 120 repetitions of each exercise which makes 240 repetitions. These two are not normal exercises. The movements in these exercises challenge your whole body. These exercises can also be some at fast pace. On average it takes about three seconds per rep. So, if you do the math, it will take about 12 minutes to do 240 repetitions. And these 240 repetitions will light your muscles on fire, and you will be gasping for air and that is a good thing, because you will know that just two exercises are working very efficiently. If you are finding it really easy and you think you can do it very efficiently than you must give it a try. You may even be not able to finish it. To improve your fitness level you must take a start with lower number that is 8, and try to improve by increasing your number after every exercise. If you are looking for a greater challenge I suggest take a breather after one routine and repeat it when you are done with a bit of relaxing. Always remember that whatever kind of exercise you are doing, your muscles require energy to help you move. This workout is not just to lose belly fat but, it also help in increasing muscle strength. No other exercise can help your muscles strengthen as much as this exercise will. It also helps in boosting metabolism for hours after workout. This is a low impact work out that you can do at high intensity. Like jogging these exercises are not joint pounding exercises. You can lose weight and increase strength with just these two exercises that will help you lose belly fat. These are exercises that you can do at your home where you are most comfortable. For these exercises you will just need a dumbbell or kettle bell. If you are looking for a complete cutting edge and you want a nutrition guide you need to go check this amazing article, ‘The Lose Your Spare Tire Program’. This will help to lose belly fat in most effective and easiest ways. You can lose 20, 30 or 50 pounds very quickly and it will help you flatten you belly forever. You need to do 8 reps of the kettle bell swing which is followed by 8 reps of squat thrust. Without taking a break do 7 reps of kettle swing followed by 7 reps of squat thrust. You need to follow this until you go down to 1. As it is said excess of everything is bad so, don’t overdo the routine. Whenever you feel like you form is breaking you need to stop doing it. And when you start next time adjust your staring point and try to complete the whole exercise without stopping. As you get adjusted with the exercise start increasing the number and eventually you’ll see yourself improving. This is not a complete workout program. But it is a great routine that you can do anywhere. If you want to skip tread mill you can do this routine instead of it. You need to bend your hips and hold the kettle bell with both hands at your arm’s length in front of you. Now rock back slightly and “hike” kettle bell between your legs. Then squeeze your glutes, thrust your hip forward forcefully, and swing the weight to shoulder height. Allow momentum to swing the weight – you are not trying to actively lift it with your arms. Reverse the movement so that you swing the kettle bell between your legs again. Make sure not to round your lower back at any point, it should stay naturally arched when you bend at your hips. Continue to swing back and forth. For this exercise you need to stand with your feet slightly wider than shoulder- width apart. Bending at your hips and knees, squat down and lower your body until you can place your hands on the floor. Kick your legs backward, into a pushup position, and immediately reverse the move and stand up from the squat. That is 1 rep.
To make the exercise even more challenging for yourself you can jump from the squat instead of just simply standing up quickly. You need to follow this routine daily if you want to see effective results and want to lose belly fat.